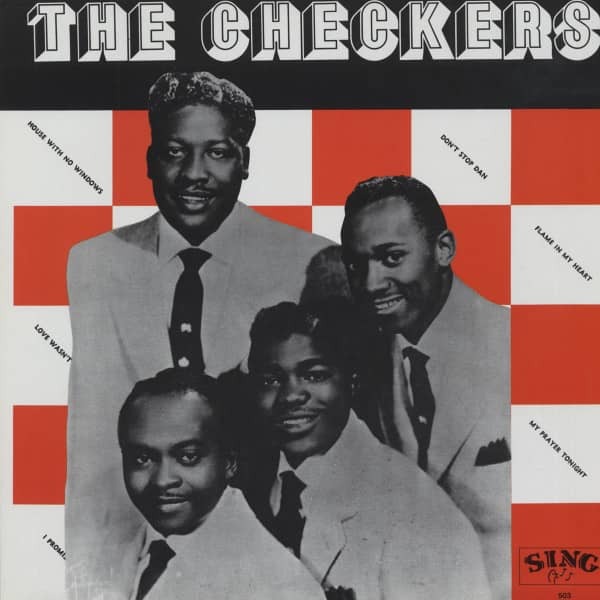 The Checkers were King Records' principal hard-luck group prior to The '5' Royales' arrival. One first-class release after another failed to crease the R&B charts the way their labelmates, The Dominoes, had. Their 10 King singles frequently earned regional success, but a national hit always proved elusive. The New York group had made its King debut in 1952, constructed around the booming bass of ex-Dominoes lead Bill Brown (who portrayed the lusty 'Lovin' Dan' on their '51 mega-smash Sixty-Minute Man) and another former Domino, tenor Charlie White, who left The Checkers to join The Clovers in early '53. White was initially replaced by ex-Sparrows tenor Perry Heyward, then ex-Drifter Little David Baughan, whose uncanny vocal similarity to Clyde McPhatter would have made it problematical to stay a Drifter for long. Tenor Irvin 'Teddy' Williams, there from the beginning, and a baritone only recalled as 'Joe' or 'Buddy' rounded out The Checkers as they headed into 1954. 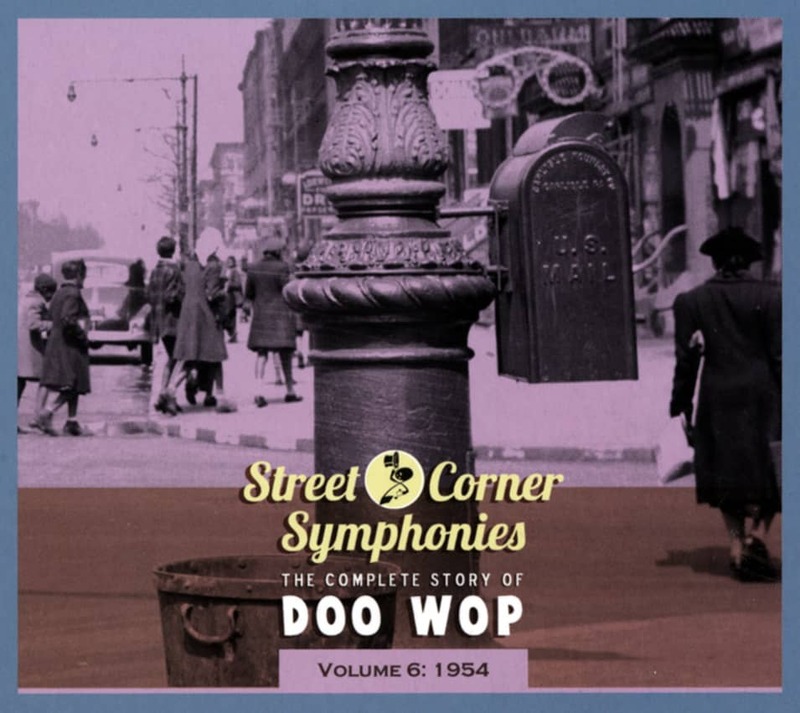 The group had come close several times to breaking through with such gems as Flame In My Heart (it's on our '52 disc) and an upbeat treatment of the wartime anthem White Cliffs Of Dover (you'll find it on our 1953 volume). King A&R man Henry Glover had been in charge of The Checkers' output from the outset. He wrote the eerie ballad House With No Windows, a Baughan showcase cut March 12, 1954 that's as accurate a McPhatter knockoff as you're likely to find. It was issued the next month with another track from the same date, the ribald Don't Stop Dan (Brown reviving his horny alter ego), as its flip. Both sides were tabbed as regional sellers, but as usual they didn't quite make the national grade. This edition of The Checkers was history by late spring. Baughan replaced McPhatter in The Drifters when Clyde was drafted, becoming the first in a never-ending series of Drifters replacement lead tenors. Brown recruited tenor Eddie 'Monkey Man' Harris of The Blue Dots to replace him, adding second tenor David Martin of The Sparrows and baritone James Williams so The Checkers could make a last date for King in October. Neither Mama's Daughter b/w I Wasn't Thinking, I Was Drinking nor Can't Find My Sadie b/w Trying To Hold My Gal changed the quartet's luck, and Brown gave up in 1955. King brought back the Checkers name three times late in the decade to release stuff by totally unrelated groups. Customer evaluation for "The Checkers"